This SpringerBriefÃÂ provides essential insights on the SDN application designing and deployment in distributed datacenters. In this book, three key problems are discussed: SDN application designing, SDN deployment and SDN management. 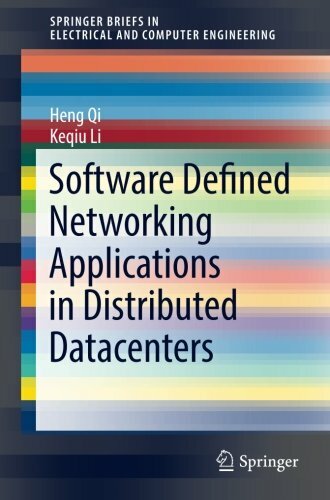 This book demonstrates how to design the SDN-based request allocation application in distributed datacenters. It also presents solutions for SDN controller placement to deploy SDN in distributed datacenters. Finally, an SDN management system is proposed to guarantee the performance of datacenter networks which are covered and controlled by many heterogeneous controllers. About: This SpringerBriefÂ provides essential insights on the SDN application designing and deployment in distributed datacenters.